The second coming of Adonis Creed is upon us. MGM and Warner Bros. Pictures have dropped the first photos from Creed 2 (also stylized as Creed II), the upcoming boxing drama sequel directed by Steven Caple Jr., written by Sylvester Stallone, and starring Michael B. Jordan. 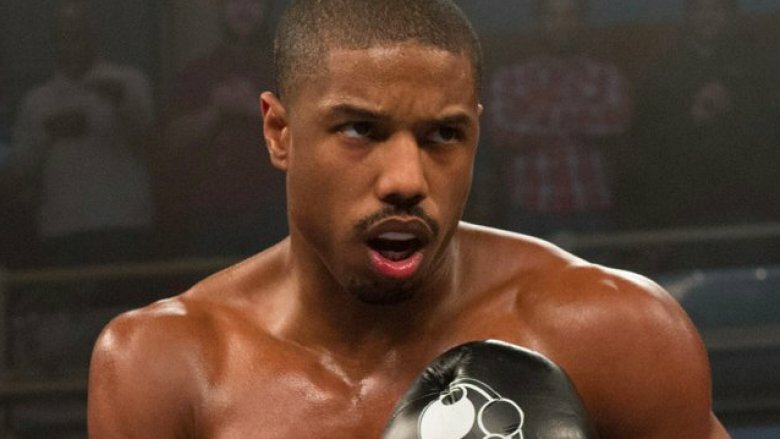 Courtesy of Collider, the snaps show Jordan back in his boxing gloves as Adonis Creed. In one photo, he stands opposite Stallone's Rocky Balboa — the fighter who watched as Ivan Drago (Dolph Lundgren) killed Adonis' father Apollo (Carl Weathers) during a match in Rocky 4 and who later became Adonis' mentor — and takes a swing at a punching bag. 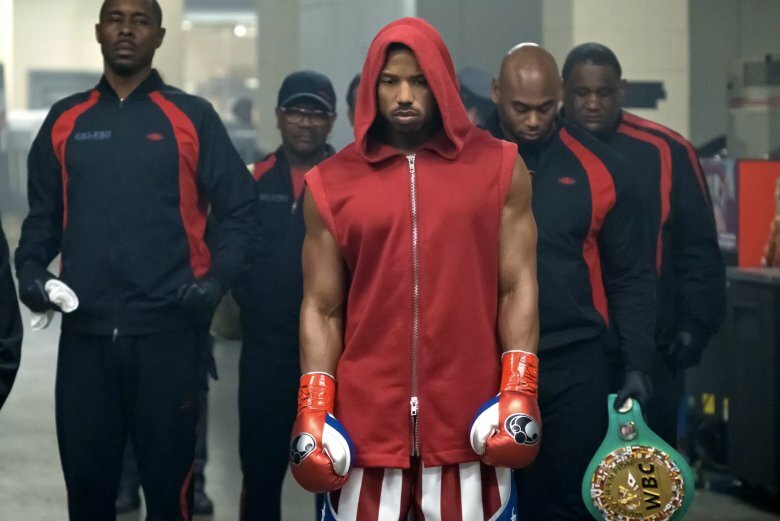 The other sees the young boxer wearing American flag-patterned boxing shorts and a sleeveless red zip-up, the hood covering his head like a superhero's cowl, while a group of men walk behind him. It's evident that the latter image is meant to pique our interest about Adonis' fight with Viktor Drago, whom Florian "Big Nasty" Munteanu portrays in the film. If the last name didn't tip you off, Viktor is Ivan's son, which makes the battle of the boxers more of an opportunity for Adonis to avenge his father Apollo Creed's death than an out-and-out competition of strength and skill. We can't say for certain whether the snap shows the moments just before the Adonis-versus-Viktor brawl, but it certainly gets our minds thinking about what might go down when the two step into the ring. Another interesting aspect of this specific photo is that Stallone's Rocky isn't seen in it. The Italian Stallion is meant to be Adonis' voice of reason, biggest champion, and the one person who truly understands his desire for redemption — so why isn't he spotted with Adonis and company just ahead of a fight? 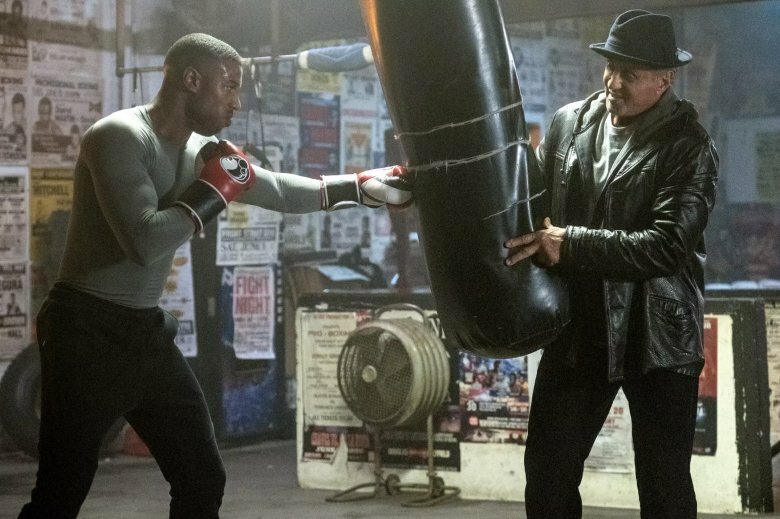 See the lengths Adonis Creed will go to in his efforts to best Viktor Drago when Creed 2, which also features Tessa Thompson as Bianca, is released on November 21.